The bride is the centre of attention in any wedding, and so she should be. Many women have dreamed of this day all their lives, standing with the man of their dreams and their friends and family all around to celebrate. 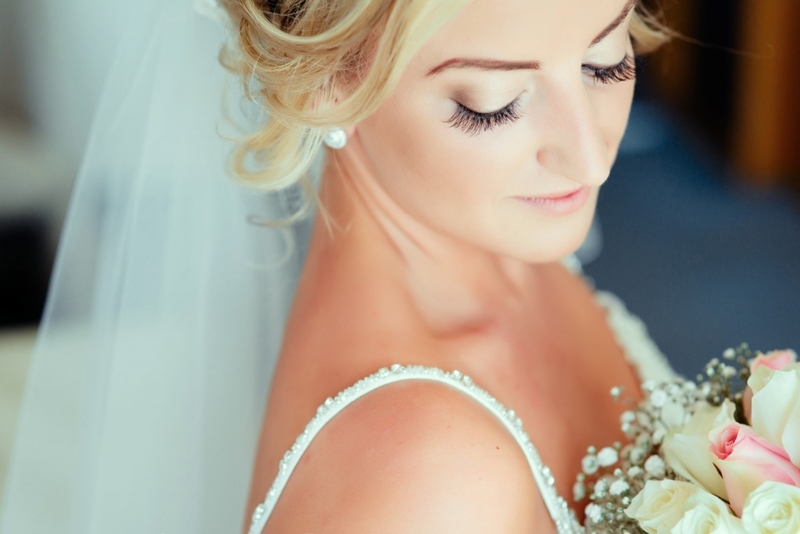 As the centre of attention, a bride wants to feel and look her best on her dream wedding day in Cyprus. There are so many choices when it comes to hairstyles and make up that it can seem difficult to choose what will work best for you. Whether or not you have a specific look in mind or are undecided, this is where our Paphos based wedding hair and make up experts will come in handy. Using our fully qualified hair and make up artists here in Paphos, you can sit back, relax and enjoy being pampered on your big day. Our team of experts come directly to you, taking away the stress and leaving you looking like the bride you want to be – fresh, radiant and flawless throughout the day. Prior to your wedding day there will be a full consultation and trial, so you can feel assured that you will be a beautiful and radiant bride. A hair and beauty service is also available to the bridal party – bridesmaids, mothers, and any guests are welcome to book the make up artist or hair dressing team. It’s important to remember that the weather here in Cyprus may be a little hotter and more humid than back home. Our beauty experts are experts at dealing with this problem and are fantastic at making sure that your make up is long lasting and also that your hair will stay put. You need to have enough coverage to withstand hugs and kisses from family and friends, as well as a flawless look for the camera lens. After all you will be looking at these photos of you amazing Cyprus wedding for years to come.